This is étude No. 7 from Ernesto Köhler's 25 Romantic Studies. 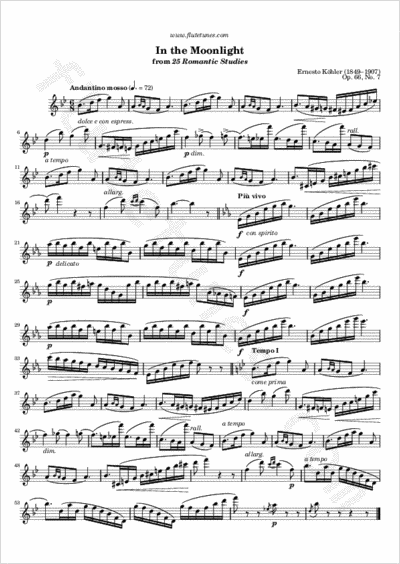 The piece is somewhat similar to a siciliana, a 6/8-time genre characterized by lilting rhythms; it is to be played with full focus on musicality.